En plein air is a French expression which means "in the open air" and is particularly used to describe the act of painting outdoors to investigate nature through direct observation. 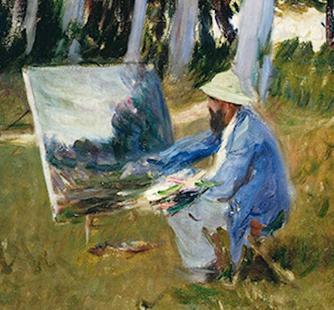 Most commonly associated with Impressionist painters, we will be exploring applications of this technique to atypical materials and artistic styles, so artists of all levels and areas of interest are welcome. This workshop focuses on the unique benefits and challenges of taking your art-making out into nature and on the preparation and planning needed. We’ll discuss site selection, packing essentials, safety, materials, and timing. Registration includes all necessary art materials, but participants are encouraged to use their own favorite supplies as well! Please bring sunscreen or a hat, water, and something to transport your art supplies between locations (a bag or rolling luggage) as we will be moving around. You may also bring a camp chair and snacks to enjoy during your session. We encourage you to remain after the workshop to develop your works as part of Pop-Up Plein Air: Art Escapists.